Amerigold (http://www.amerigold.com/) is a precious metals dealer that provides bullion bars, coins, and numismatics products. The company was founded in 1998 and is based in Denver, Colorado. In addition to selling precious metals, Amerigold also works with clients to help them select an ideal IRA custodian when purchasing precious metals for their self-directed IRAs. The Founder and President of Amerigold is Greg McCoach, an experienced entrepreneur and precious metals dealer with more than 16 years of experience in the industry. Before the financial crisis of 2008, Greg was one of the first analysts to predict that gold would hit $1,000/ounce in 2007. According to their About Us page, he founded Amerigold based on contrarian investing principals that he learned from J. Paul Getty's autobiography, promoting precious metals at a time when they seemed to be fairly out of favor with most investors. As you can see, despite their 16-year history as a company, AmeriGold has a relatively blank online reputation, with only a positive BBB profile to show. On the bright side, the company is listed in CitySearch, Google+, and the Yellow Pages, and while they've not yet received any positive ratings on those sites, they also haven't had any complaints either, earning them a spot on 2015's list of the top 70 gold IRA companies. 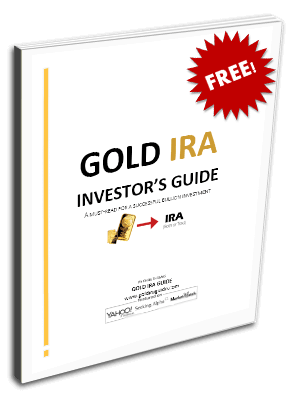 Precious Metals IRA – Explains the process of opening, funding, and stocking a precious metals IRA through one of Amerigold's recommended IRA custodians. Product Catalog – Displays the full range of Amerigold's gold, silver, platinum, and palladium products. About Us – An overview and brief bio of the company and its founder, Greg McCoach. Choosing a bullion dealer and IRA custodian to help you set up and stock your Gold IRA is a decision that should be carefully considered and preceded by intensive research. With so many companies to choose from, it can be difficult to sort out the third-parties and middlemen from the most reputable and reasonably priced providers, especially if you don't know what to look for. We've made it easy for anyone to conduct their own research from our comprehensive company comparison chart that conveniently displays ratings, grades, and profile links from the top business directories online. If you're an owner, associate, or representative of Amerigold and you've noticed any information within this review that is incorrect or outdated, please do contact us with your concerns. We will honor any revision or removal request that is in line with our goal of giving our readers the most useful and accurate company reviews on an ongoing basis. Amerigold specializes in the sale of gold, silver, platinum, and palladium bullion bars and coins (many of which are eligible to be deposited into an IRA), as well as numismatic items and world coins. They also assist clients in setting up, funding, and stocking self-directed precious metals IRAs through several IRA custodians. Although their site does not specify which custodians they typically recommend, they do state that they'll help you determine which one is the best for your particular situation, and it is likely that the custodians they use are one of the companies on our top 10 IRA custodians list.